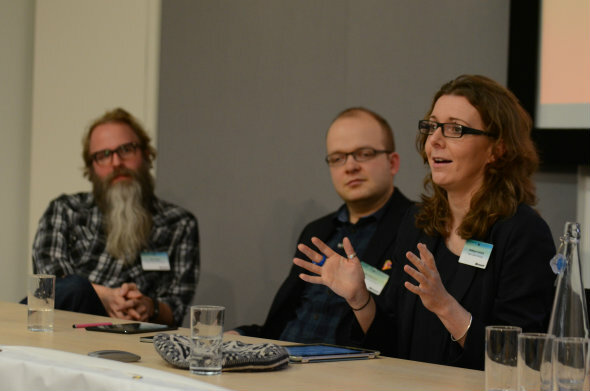 News organisations still lack a “stable set of tools” to use data journalism to its full potential – especially on mobile – the news:rewired conference, in London, heard today. Esa Mäkinen, who oversees a team of four data journalists at the Finnish news group Helsingin Sanomat, said there were still big challenges facing data journalists and news organisations looking to invest in data. Editors want to know which tools we need to make data journalism – give me two or three programs I have to buy. We are not at that point yet. We don’t have a stable set of tools we need for data journalism. Mäkinen said making data projects work on mobile devices was a major challenge. It’s a challenge: how do you do big data on a tiny screen? We have to confront the challenge and solve it. Google Charts is not rendering well on mobile at the moment – if it doesn’t work on mobile we can’t do it at all. I’m astonished companies like Google are not getting wise to that. People like Google really have to get their act together. It’s astonishing to me that they haven’t fixed that. Trinity Mirror’s data unit has four staff and is soon to almost double in size to seven. They supply ready-to-use data to journalists at the group’s regional newspapers, generating “several splashes a week and page leads every day”. One data set can generate splashes for a range of titles. Data journalism has become a bit of a buzz term. It’s easy these days to become lost. We have to remember very clearly who we’re writing for. It has to be bold and agenda-setting. I don’t think data journalism has to be a broadsheet thing. It can be a tabloid thing that can tap into things that are important to everybody: schools, crime. Most of the skills data journalists need are traditional skills. The key thing is choosing the data to use in the first sense – that news sense is an old fashioned value that most good journalists already have. The Helsingin Sanomat team has built a CMS called Arkku contained ready-to-go templates for data stories and visualisations. Any journalist can go in here and make a simple graph – copy and paste data from Excel and in five minutes they have a working interactive news app. He said there were no plans to open the CMS software up to other news organisations, because “I think it’s a competitive edge to us”. Nobody’s deciding I’m going to that place because it has the best-looking map. There are so many bits and pieces that go into everything that’s happening on the web. There are parts that are useful to everyone – you can maximise a small team by suddenly having all sorts of folks that work on this stuff. We are moving into a new era of journalism – a really exciting one. We are able to do things we have never been able to do before. But we are not going to do it by holding on to every piece we’ve created as a proprietary thing.